11/21/14 Update: In one of a series of memos released Thursday night providing the details on the president's executive amnesty plan, DHS Secretary Jeh Johnson stated that the plan to offer discounted naturalization to low-income applicants would not be implemented at this time, apparently because USCIS leaders said that the agency couldn't afford it. The memo is available here. This development leads to the question, how will USCIS cover the costs associated with potentially five million deferred action applications? These applications cost the agency a minimum of $1,000 each to process – but USCIS is not authorized by Congress to impose a fee for this benefit. Answer: The funds will be skimmed off of the fees paid by legal immigrants and their sponsors, and USCIS will cut corners to streamline the already inadequate review process on applications and end up rubber-stamping approvals, because it won't be able to afford to do anything else. One of the surprise elements in the president's leaked 10-point executive amnesty scheme is described as an effort to promote naturalization by offering a 50 percent discount on applications to the first 10,000 eligible green card holders who get their forms in if they show income that is less than 200 percent above poverty, presumably as defined here. This item left many of us scratching our heads, wondering what the point of a holiday sale on citizenship would be. I learned from an insider that the purpose of this deal is not to promote citizenship, but to boost the volume of naturalizations to generate new fee revenue that the administration can use to fund other parts of the president's plan, including a way to give work permits to the illegal alien relatives of these new citizens. USCIS, the agency that adjudicates applications for immigration benefits, is funded primarily by the collection of fees. Ninety-five percent of its budget comes from fees that are collected from applicants for most types of immigration benefits, from petitions to sponsor relatives or employees to replacement green cards to naturalization applications. By law, the agency is supposed to charge applicants a fee that equals the cost of processing the benefit, plus some money for the agency's overhead and also some cushion to subsidize the processing of applications for which there is no fee, such as refugee applications and applications for low-income applicants who qualify for a fee waiver. Certain fees, such as for professional guest workers (the H-1B category), are set by statute and not subject to the cost-recovery rules. The calculation of these rates is complex and is supposed to take place every two years. The last formal review was in 2009. In recent years, Congress has become more lenient in allowing USCIS to skim off, or "tax", certain types of applications in order to fund others. The agency refers to this as "cross-subsidization". Currently, fees from legal immigrants and their sponsors subsidize refugee and asylum applications, military naturalizations, the anti-fraud division, and other activities — with "other activities" very broadly defined. This "cross-subsidization" surcharge has been about 15 percent, or $72 on each fee-paying applicant. The problem is that while Congress decides what types of benefits USCIS may charge for, it does not control how USCIS spends the fee revenues. The money is completely fungible. So USCIS has the ability to allocate the funds to prioritize the processing of any type of benefit that it favors. This arrangement gives USCIS the opportunity to, in effect, create slush funds and skim off congressionally authorized fees imposed on legal immigrants and their sponsors in order to fund programs that are not authorized by Congress. Former USCIS Director Alejandro Mayorkas has publicly acknowledged this arrangement. 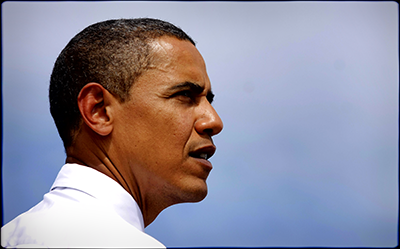 As early as 2009, he tied the need to raise fees on immigration benefits with a need to set up processing centers that could handle six million legalization applicants: "We are focused on ensuring that we are ready to address comprehensive immigration reform." The original blueprint for the president's unilateral amnesty scheme recognized the difficulty of funding a large executive amnesty without some kind of fee revenue to fund it. It recommended that USCIS "alter" its approach to dispensing legalization benefits to require applicants to file some kind of form for which Congress had already authorized the collection of a fee. This enables the agency to pretend that this authorized fee actually covers the cost of processing the legalization benefit. This is how the agency finessed the financing of the Deferred Action for Childhood Arrivals (DACA) program, the president's first big legalization program for the DREAMers, in which nearly 600,000 illegal aliens under age 31 received work permits. Congress has never authorized the collection of a fee for the deferred action benefit; therefore, to receive the benefit, applicants were required to pay a fee for a work permit and fingerprinting, which totaled $465. The current DACA fee is $465, but that consists of the normal $380 fee to cover the I-765 Application for Employment Authorization Processing and the standard $85 biometric fee. What funds are used to cover the processing of the Form I-821D, Consideration of Deferred Action for Childhood Arrivals? DHS replied, "we had enough" (my paraphrase). Detailed data regarding applications for Deferred Action for Childhood Arrivals, to include the number of applications received, approved and denied, and cost incurred since program inception and anticipated for the program in fiscal years 2013 and 2014. Additionally, the Committee directs USCIS to provide processing times for all application types. In response, DHS did provide some details on the applications processed and how long it took, but not so much on the costs (see the document here). DHS reported that it spent just over $280 million on the DACA program, broken down into five very general expenditure line items. Conveniently, this works out to be almost exactly the amount USCIS would have collected from the 611,000 applications it accepted if all applicants had paid the fees ($284 million). DHS does not say how many fees were waived. Yet the last cost analysis done by USCIS to set fees in 2009 shows that the fees charged for DACA applicants could not possibly cover the full cost of processing the benefit — meaning other applicants for legal benefits subsidized this program to legalize the DREAMers. USCIS's own calculation of the cost of processing various kinds of benefits, based on the amount of work it entails, shows that the agency greatly under-charged for DACA applications. Benefits that are very similar to DACA are shown to require significantly more work than was claimed by USCIS for DACA. For example, the application used in a similar prior legalization program is the Form I-687, which USCIS says requires 1,129 "activity unit costs", of which 833 are needed to make a determination on eligibility. USCIS charges $1,130 for this benefit — and the applicant must pay an additional $380 for the work permit. The application form for DACA, known as the I-821-D, is of very similar complexity, but USCIS charged only the $380 work permit fee (not counting the fingerprint fee), which needs only 379 activity unit costs, with only 65 units to determine eligibility. The agency charged nothing for the adjudication of the benefit. It appears that, by its own calculations, USCIS forced applicants in other legal benefit categories to underwrite the cost of doling out the DACA benefits — potentially to the tune of nearly $700 million (that is 611,000 DACA applicants x $1,130 per application that they did not collect). USCIS probably saved some of that cost by streamlining background checks, dispensing with interviews, and ignoring fraud, but there can be no doubt that legal immigrants and their sponsors were on the hook for potentially hundreds of millions of dollars to pay for the DACA program. On top of that, the applications of legal immigrants were delayed as agency leaders ordered field offices to give priority to processing DACA applications. The report to appropriators cited above shows that processing times for standard legal immigration forms is well above USCIS goals for prompt processing. The impact on American families sponsoring immigrants was highlighted by the New York Times here. What does this have to do with the blue-light special on naturalization? According to my source, the agency recognizes that it cannot possibly cover the cost of processing potentially four to six million legalization applicants at a discounted rate. To generate the cash, they hope that enough people will be motivated to apply for naturalization under a discount rate that expires after the first 10,000 apply. That would generate $3.4 million. It would also allow the relatives of these new citizen applicants to qualify in different categories of legalization or adjustment of status for which USCIS can charge different, higher fees. It's what's known as a "loss leader" in retail parlance. But USCIS, the agency charged with processing precious immigration benefits that have national security, economic, and social implications should not be operating like Wal-Mart. Congressional leaders need to ask the agency exactly how much it costs to process the deferred action benefits, both DACA and any new programs, how much it spent, and how it can afford to offer a 50 percent discount on naturalization applications. Even better, Congress needs to insist that fees collected by USCIS go into the U.S. Treasury, where they can be properly accounted for, not into the agency's giant, opaque slush fund. This will enable Congress to ensure that the fees are used only for processing benefits that Congress has explicitly approved.